To deliver amazing results requires amazing people. Meet our team and the best practitioners in Vancouver! Kam Yan is a graduate of Physiotherapy from the University of Alberta. He started in hospital work and has been in private practice for the last 25 years. 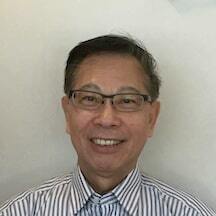 He is also a fully licensed Traditional Acupuncturist of BC and has taught IMS at iSTOP as well as Hong Kong. His past achievements include a being a speaker at the International Congress of Physiotherapy in 1972, being a guest speaker at the Canadian Physiotherapy Association, a speaker at UBC for non-needle acupuncture, as well as at the Beijing University of China, School of Acupuncture and Moxibustion. 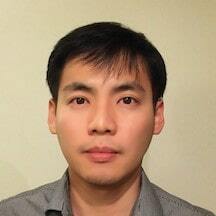 He is an experienced Physiotherapist and Acupuncturist dealing with acute and chronic pain. Agnes earned her Physiotherapy degree BScPT(Hons), graduating with high honours, was recipient of the Outstanding Academic Achievement for three consecutive years, the All-round Outstanding Student award and numerous scholarships including Post-entrance Scholarship. Agnes received in recognition of outstanding academic and non-academic performance in Faculty of Health & Social Sciences and has been placed on the Dean's Honours list. Prior to that, Agnes obtained her first bachelors degree in Kinesiology (BScKin) and Certificate in Health and Fitness Studies. Her past professional work experiences include Curtin University Physiotherapy Clinic in Perth, Australia as well as various hospitals and clinics in Hong Kong. Agnes served as a physiotherapist during the Beijing Summer Olympics in 2008 and was recruited to be part of the medical team. She also volunteered during Vancouver Winter Olympics and Para-Olympic Games, Oxfam Trailwalker 2006, The Ride to Conquer Cancer 2011, Surrey Summer BC Games 2012, World Cup fencing BC 2013, Vancouver Men's epee Grand Prix 2014 and Peter Bakonyi World Cup 2016. Agnes employs a philosophy of care taking into holistic approach combining Western and Eastern points of view. She utilizes manual therapy, acupuncture, Gunn IMS dry needling, myofascial/craniosacral/visceral release, breathing techniques, pelvic floor control (part of the core muscles), motor pattern training, taping and therapeutic exercises to help patients restore optimal function. David Park obtained his Bachelor of Science degree at UBC, and afterwards, he graduated from the University of Western Ontario with a Master of Physical Therapy degree, and primarily worked at private clinics and long term care homes. He attained Acupuncture Canada Certification, and uses acupuncture as part of his treatment in addition to manual therapy, exercise prescription, modalities, and education. David is originally from South Korea and has travelled to several other countries. He also enjoys playing soccer, badminton, table tennis, and hiking as well as spending time with his wife and a daughter. 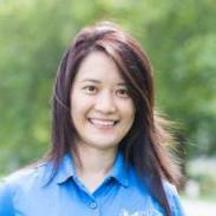 Charmaine started her career in healthcare as a Registered Massage Therapist graduating from the West Coast College of Massage Therapy, B.C. in 1990. She then continued her studies and graduated as Registered Physiotherapist in 1994 from the University of British Columbia. 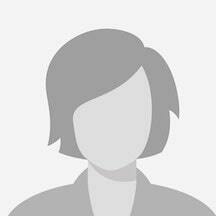 Presently, she is registered with the College of Massage Therapists of B.C. (CMTBC) as well as with the College of Physical Therapy of British Columbia (CPTBC). She has over 20 years of experience in orthopaedics working in private practice dedicated to the treatment of MVA's, peripheral joints, joint replacements, sports and work-related injuries. She also holds a certificate from the Acupuncture Foundation of Canada in 1999 and as well as a certificate from the Chan Gunn IMS in 2003 (Intramuscular Stimulation) or dry needling for the treatment of neuropathic pain. Charmaine has a passion for lifelong learning and has completed multiple certificates in different areas of orthopaedics, exercise therapy and acupuncture. Charmaine treats injuries with an eclectic approach combined with exercise therapy and postural correction.